Preschoolers fly through the air with their favorite PAW Patrol pups. This flying game incorporates some counting and shape-tracing practice, but is mostly about having fun with the puppy stars of the hit Nick TV show. 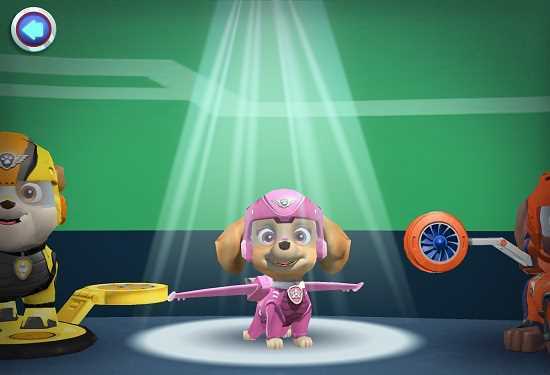 PAW Patrol Pups Take Flight is a preschool app where kids can help the six PAW Patrol pups test out their new air patroller suits by flying through 30 levels across three different locations. 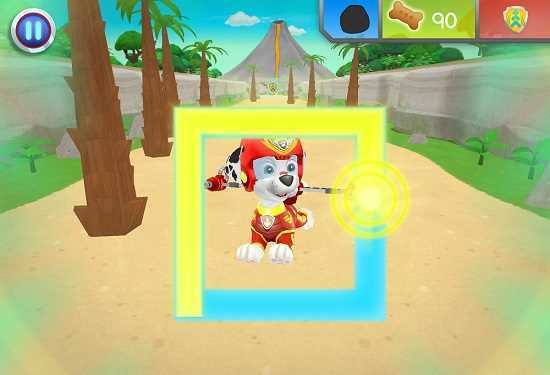 This kids' app is based on the popular Nick Jr. TV show called "PAW Patrol." Kids control the flying pups by swiping a finger on the screen to dodge obstacles such as plants and rock formations while collecting as many doggie treats and power-ups as possible. 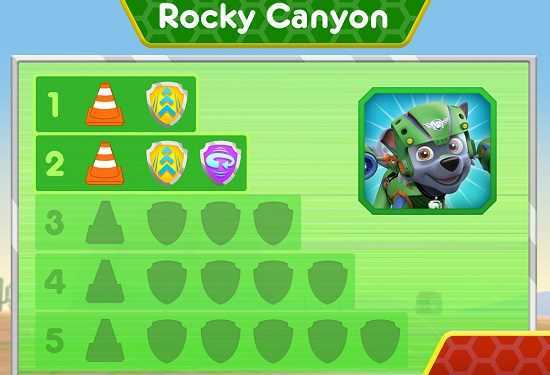 Each level has one special item to collect, such as a boulder that the pups can use to help repair a dangerous rockslide. Before kids can pocket the item, they have to trace the outline of one of nine different shapes on the screen, including circles, triangles, hexagons, and parallelograms. PAW Patrol Pups Take Flight is an encouraging and forgiving game for kids who are still developing their fine motor control. Instead of penalizing kids for bumping into an obstacle, this kids' app offers gentle verbal reminders to get back on track. Players can take as long as they like to trace a shape. Younger kids will enjoy simply guiding the pup to the end of the level, while older kids can challenge themselves by trying to pick up the most treats. 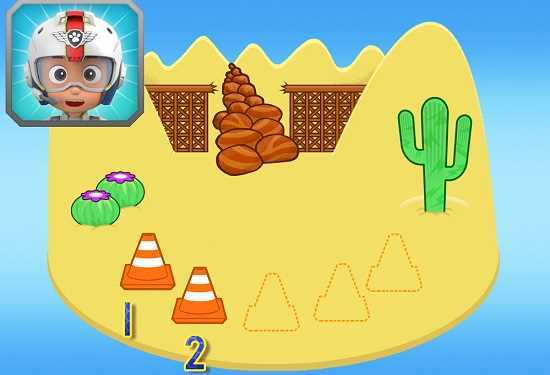 This kids' app would be more effective as a learning tool if players encountered the trace-shapes activity more frequently than once per level, and if it reinforced the learning elsewhere throughout the app. But PAW Patrol Pups Take Flight is more about fun than education, giving kids a chance to interact with the pups that they know and love from the TV show. Young fans of PAW Patrol are most likely to appreciate PAW Patrol Pups Take Flight. 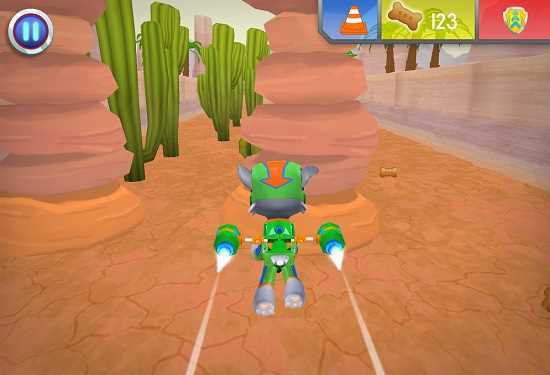 The three- to six-year age range is the sweet spot for this kids' app. 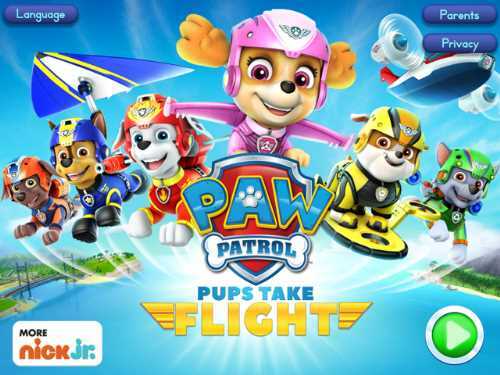 This PAW Patrol Pups Take Flight app review was written by Erin Bell. All tech products are judged on a five star scale by looking at the following factors: fun, education, ease of use, value, and technical.